Born in Tokyo, Yoshiko KANO, alt singer, started to sing in the choir of Christian School in Japan at the age of 8. She studied Japanese history in Aoyama Gakuin University before she started singing etudes with Yonako NAGANO、Hiroko NAKAMAKI. She got her Bachelor degree of Vocal Music in Tokyo National University of Fine Arts and Music(Geidai), studying with Chieko TERATANI. While a student, she sang baroque works in Bach Kantate Club led by Michio KOBAYASHI. In 2004 and 2005, she took the master classes of Mitsuko SHIRAI and Hartmut HÖLL and appeared in the final concert at Les Rencontres Musicales Internationales d’Enghien (Enghien International Musical Encounters). She also learned Russian music with Chiyuki URANO. 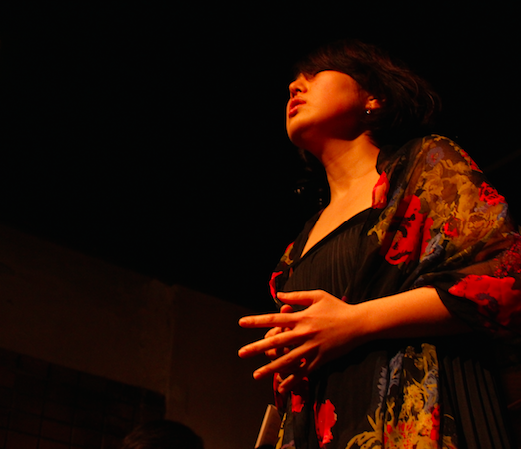 In Japan, Yoshiko sings not only in the first performances of vocal works by the composers such as Alexei Aigui, Jun Kawasaki, Shinichiro Kanda, Shuichi Tanaka, Migaku Kitsukawa, Kenkichi Sakai, but also she works with various artists like poets, dancers, actors and painters. Currently she studies Landscape design in Kyoto University of Art and Design in order to create new scenes of music as an organizer. She already carried out concerts and musical events at the varied places like cafes, churches, museums, temples, playhouses, and ancient Japanese houses.